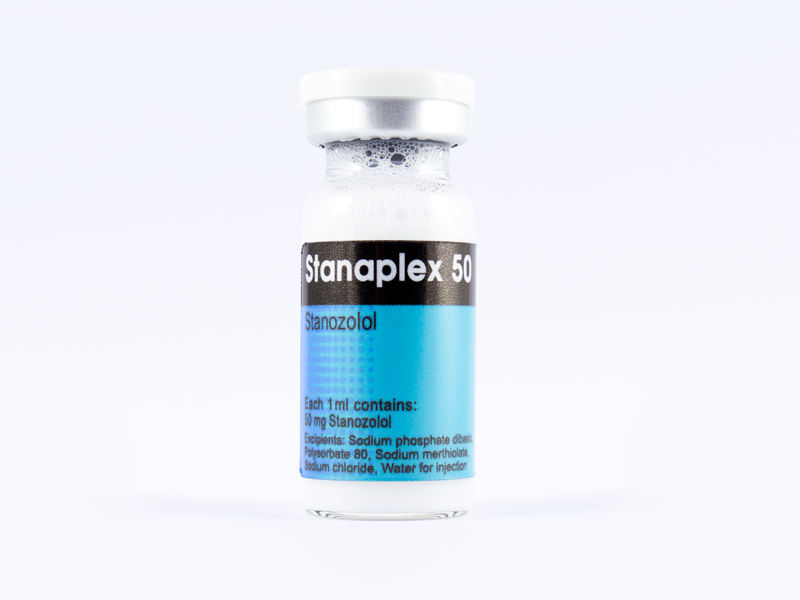 STANAPLEX 50 contains Stanozolol, which injectable form is known as Winstrol. Stanozolol is a derivative of dihydrotestosterone, chemically altered so that the hormone's anabolic properties are greatly amplified and its androgenic activity minimized. Stanozolol is classified as an anabolic steroid, and exhibits one of the strongest dissociations of anabolic to androgenic effect among commercially available agents. It also cannot be aromatized into estrogens.